This site is researching, with great fondness, the history of both the products and the people of the Chubb company and its subsidiaries. 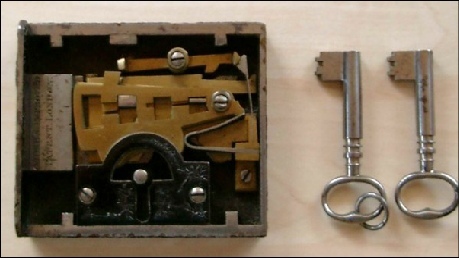 This year, 2018, is the 200th anniversary of Jeremiah Chubb’s, invention and patent of his detector lock, and shortly afterwards his brother Charles founding of Chubb & Sons Lock Company. Like many new company's the road to success was full of twists and turns, disappointment and elation. Whilst the company was active and in business their early history image was very much the subject of image and policy; now we can explore all those twists and turns and we can do so without anything detracting from their worth, prestige or image. This project is on going and is part of the History of Locks Museums initiative to record and preserve our past heritage in this field. In the mean time we hope you enjoy exploring our evolving site. The Header Banner depicts a sense of the rational for this site. People working making Chubb security products and a version of the lock that started it all in 1818 - The Chubb Detector Lock. The Chubb Fish logo represents the keen brand identity the company portrayed throughout its life in the badges crests and escutcheons and other branding, always keeping the Chubb name in front of users.